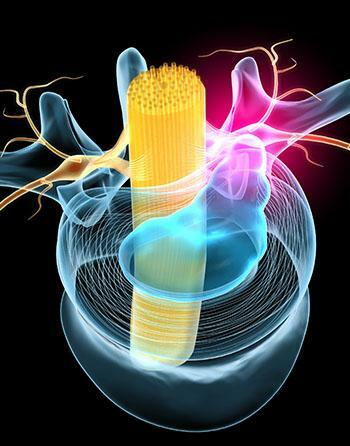 Do you have numbness, tingling, or radiating pain in your neck, shoulders, spine, or pelvis? Perhaps you’re experiencing some of the more common symptoms of a pinched nerve. Pain from a pinched nerve can come on instantly in some cases, or gradually in others. Whatever the cause or prognosis may be, impinged nerves can be soothed and in most cases completely alleviated with the right pinched nerve treatment–and without the need for surgery. 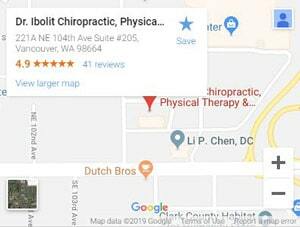 At Dr. Ibolit Chiropractic, Physical Therapy & Massage, we offer a comprehensive range of alternative care and physical therapy for patients struggling with pinched nerves. A free consultation with our doctors will help you get closer to alleviating your pinched nerve, so you can continue doing the things you love to do, pain free. What’s going on inside your body when you’re feeling pain in an area of compression? Pinched nerves occur when a nerve becomes squeezed between various tissue–bones, tendons, muscles–which over time can cause pain, numbness, and decreased function in that area or other areas associated with the nerve. Pinched nerves can be debilitating–but they can be treated. At Dr. Ibolit, our chiropractic doctors, massage therapists, and physical therapists all have specific protocols for treating all types of nerve impingement. Our chiropractors home in on the causes of nerve pain, especially in the neck, spine, and pelvic regions. Our massage therapists treat sciatica, carpal tunnel, and other nerve impingement with a deft and precise touch. For preventing a nerve impingement from worsening in the future, we recommend physical therapy to build strength or correct movement around a pinched nerve. Pinched nerve ailments can range from carpel tunnel syndrome to sciatica. Here is a list of common causes of nerve impingement. Call us today for a consultation with our chiropractors today! At Dr. Ibolit, we ensure that our treatments are personalized based on the patient’s medical history and needs. Our three types of care (massage, physical therapy, and chiropractic treatment) offer a multi-step process for recovery and injury prevention.